Adela Liculescu was born in 1993 in Craiova, Romania. 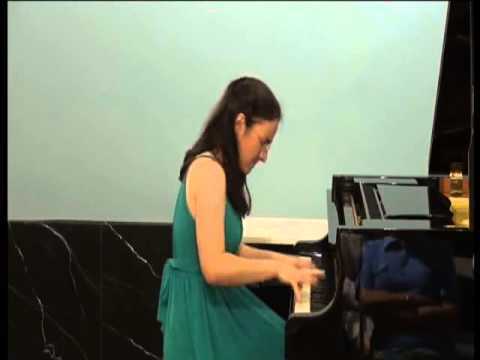 After her graduation with highest degree from the Music and Arts High-School “Marin Sorescu” in her hometown in 2012 (where she studied with Prof. Mariana Ilie and Prof. Mihai Ungureanu, concert soloist of the Craiova Philharmonic), she has continued her studies since September 2012 at the University of Music and Performing Arts Vienna (Piano performance: Prof. Martin Hughes). In January 2016, in a gala awarding ceremony that took place at the Romanian Parliament in Bucharest, Adela was awarded the prize “Romanian Student of the Year abroad” in the Arts category. 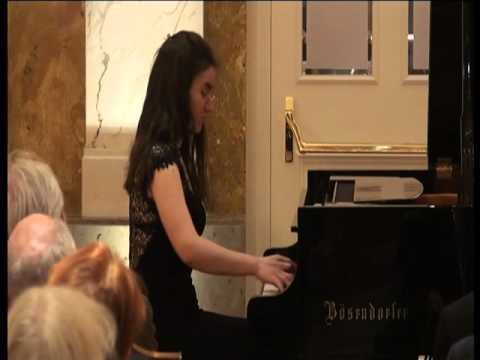 In November 2015, Adela Liculescu won the First Prize in the Bösendorfer Competition Vienna. 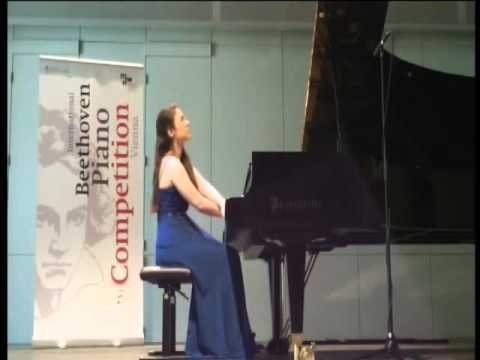 In the final round that took place in Schlosstheater Schönbrunn, Adela performed Beethoven Piano Concerto no. 2 together with Vienna Chamber Orchestra, conducted by Maestro Stefan Vladar. 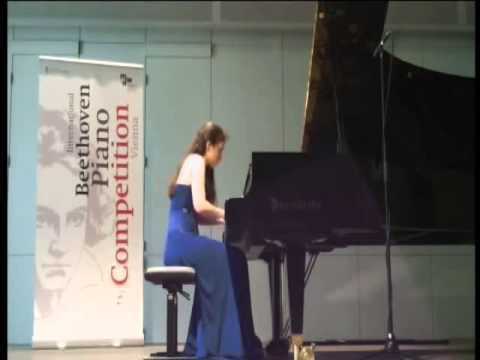 Adela’s previous prizes include: Yamaha Prize Austria 2017, First Prize in “Elena Rombro-Stepanow” Competition Vienna 2012, Second Prize in Città di Cantù Classical Concerto Competition 2015, Fifth Prize in the International Beethoven Piano Competition Vienna 2013 and special award for the youngest semifinalist, First Prize at the “Orange Prizes for young musicians” Bucharest 2008, First Prize at the “Carl Filtsch Piano Competition” Hermannstadt 2009, Special Award for the best ranked Romanian Participant (one of the six semifinalists) in the “George Enescu” Piano Competition Bucharest 2014. 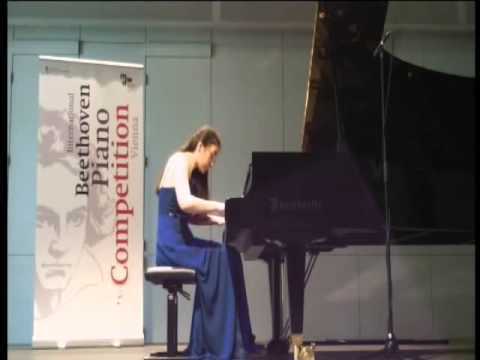 Besides, during her musical studies in Romania (in high-school), Adela won every year the first prize in the National Competition of all music schools (Music Olympiads). 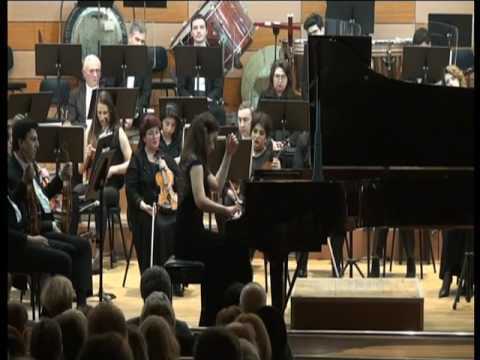 Highlights of her performances with orchestras include Mozart Piano Concerto no 21 at the Philharmonic in Berlin with das Neue Sinfonie-Orchester Berlin and conductor Raphael Haeger in March 2014 and Beethoven Piano Concerto no 2 at the Romanian Athenaeum Bucharest with the Romanian Sinfonietta Orchestra and conductor Horia Andreescu in August 2014 (live recorded and broadcasted on the Romanian National Radio and television). Adela performed until now publicly eleven different concerti with orchestra (Haydn – D major, Mozart – KV 467 & KV 488, Beethoven – no 2 & no 5 “Emperor”, Chopin 2, Schumann, Rachmaninov 2, Tchaikovsky 1, Prokofiev 3, Liszt 1) with conductors like Horia Andreescu, Tiberiu Soare, Raphael Haeger, Vittorio Parisi, Romeo Râmbu, Ovidiu Bălan, Florin Totan, George Jackson, Sergey Simakov etc. 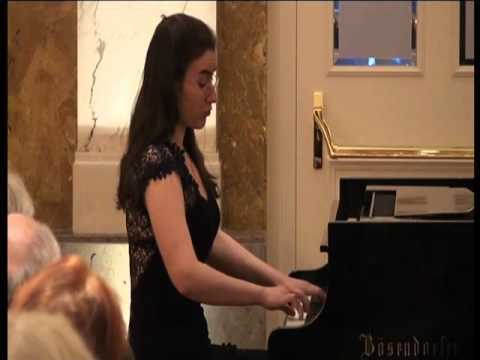 Following her award for the best ranked Romanian pianist in the “George Enescu” Competition 2014, she was invited to be the soloist of the semi-finals, finals and gala concert of the Jeunesses Musicales Conducting Competition Bucharest 2015, performing the first movements of Chopin 2, Rachmaninov 2 and Schumann Concerti together with the Bucharest Philharmonic Orchestra at the Romanian Athenaeum Bucharest with every one of the 12 conductors semi-finalists (and then the 3 finalists). 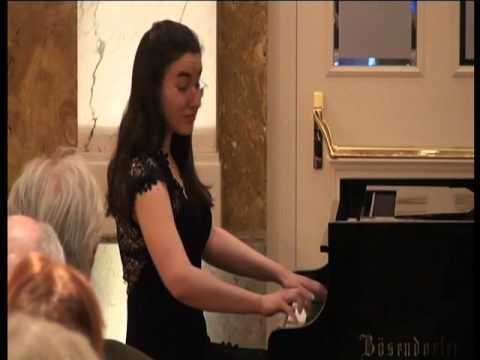 In July 2015, she was selected for the orchestra studio of the Weimarer Meisterkurse, offering her the possibility to play Liszt First Piano Concerto with Jena Philharmonic Orchestra and conductor Markus L. Frank. Adela is also an active chamber musician. She performed in ensembles with musicians like: Alexander Sitkovetsky, Natalia Lomeiko, Barnabás Kelemen, Corinne Chapelle, Domenico Nordio, Diana Ketler, Mirabela Dina, Maxim Rysanov, Răzvan Popovici, Maria Kliegel, Julian Arp, Boris Andrianov, László Fenyö, Erich Oskar Huetter, Christine Hoock etc. Adela is a promoter of Romanian music abroad, in 2015 being invited by the Romanian Cultural Institutes in London and in Prague to perform two concerts with music by Enescu, Liszt and Ravel. 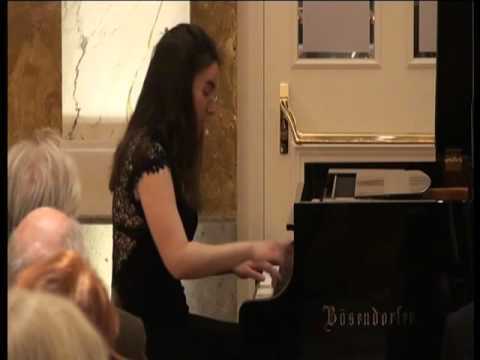 In 2013 she performed solo piano music by Enescu in a concert organized by the Romanian Embassy in Vienna. Adela performed works by George Enescu in further recitals that she gave in Germany, Italy and Romania. In 2008 she performed a recital in Venice (in colaboration with the Romanian Cultural Institute in Venice), where she played the complete piano works of the Romanian romantic composer Carl Filtsch, some of them in absolute world premiere. Some pieces of this recital were broadcasted on WQXR Radio – New York. 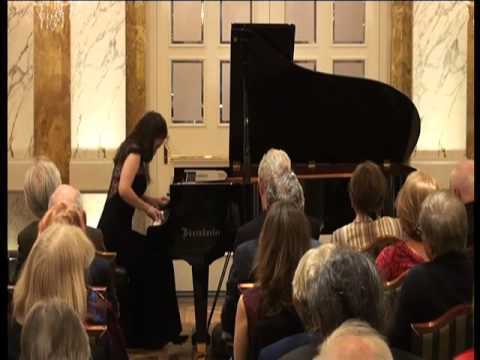 In April 2014 she performed a recital at the Romanian Cultural Institute in Vienna. Many of her performances were broadcasted on radio and television. In January 2015, she was featured in the „Talentenbörse” of the radio programme „Intrada” on the Austrian National Radio Ö1. Adela is a current scholar of the Thyll-Dürr Foundation and a past scholar of the Tokyo Foundation and of the Beethoven Society Vienna. Highlights of the 2017/18 season are a solo recital in Gläserner Saal in Musikverein, a tour with Rachmaninov 3rd piano concerto in Romania and a solo recital for Yamaha Germany in Hamburg.